Over the past 20 years, I have qualified to practice many Complementary Therapies such as Reflexology, Massage, Aromatherapy. Neuroskeletal Re-alignment and Facial Zone Therapy are the latest addition to my skill set, although I would always consider my main career focus to be Reflexology of the feet, hands or face. I was lucky enough to train with the renowned Renèe Tanner, and have applied her teachings to Infertility and Reflexology with amazing results. I began my academic career by giving talks to Therapists, and progressed over the years to teaching and examining Reflexology students in many FE/Adult and private colleges. Nurturing yourself is not selfish – it's essential to your survival and your wellbeing. As Programme Manager for Health at Morley College in London, I achieved the Centre of Excellence award for Reflexology in 2011. 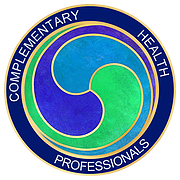 I have taken part in the organisation of Complementary Therapy stands at a variety of venues including 'CamExpo' and 'Mind Body and Spirit', and have also been involved in research exploring how the therapy works. I have been involved with the Reflexology Forum which has been instrumental in achieving voluntary self-regulation for reflexology as well as writing the Core Curriculum for Reflexology Standard. I have also worked as a Therapist in one of few Primary Schools who see the benefits of Complementary Therapy treatments and learning for children. Touch comes before sight, before speech… 'tis the first language, and the last… and it always tells the truth.